The 9th India International Construction Machinery Exhibition EXCON 2017 opens at Bangalore International Exhibition center BIEC on 12th Dec.,2017. Vice President and Secretary General of China Construction Machinery Association(CCMA) Mr. Su ZiMeng and Vice President of China Council for the Promotion of International Trade-Machinery Sub Council (CCPIT-MSC) Mr. Zhou WeiDong led a China Pavilion to exhibit at Excon 2017 and introduced the general situation of China construction machinery industry, and also promote BICES 2019 to the main press of India. 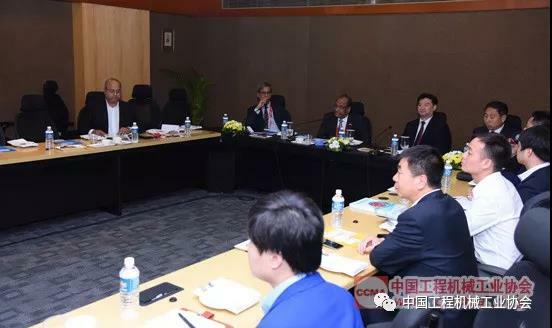 CCMA and India Construction Equipment Manufacturers Association(ICEMA) held a meeting during the show and reached consensus on further mutual cooperation. Excon is organized by Confederation of Indian Industry(CII), co-organized by India Construction Equipment Manufacturers Association(ICEMA), and fully supported by Builders’ Association of India (BAI) and Karnataka government. The show was firstly held in 2000 and the 2nd session was held in 2002, the third session was held in 2005 from then the show was regularly held each other year in city Bangalore. Now Excon has already become the 2nd largest construction machinery show in Asia and the largest one in South Asia. The total exhibition area of Excon 2017 has reached record large at 250,000 sqm which increased by 30,000sqm compared with the last show. 923 exhibitors from 20 countries participate the show which is 14% growth over last show, and of which 275 exhibitors are from China. The organizer of Excon declared there would be 300 new products launching during the show. The international pavilions on the show includes China, Germany, Italy, Korea, and UK, sorted by pavilion size. Many internationally well-known enterprises gathered on the show like CATERPILLAR, KOMATSU, JCB, KOBELCO, PUZZOLANA, ATLAS, DOOSAN, HYUNDAI, CASE, TADANO, WIRTGEN, ITR、BKT、ATLAS, BULL, TATA and other Indian companies, and many Chinese enterprises located in India like SANY, XGMA, and LinGong also participated the show. The exhibits on the show cover construction machinery and equipment, engineering truck, building machinery, building technology, building material and equipment, engine and power transmission equipment, hydraulic and pneumatic parts, lifting equipment, engineering pump, electronic control equipment and components, safety system and equipment, various motors, bearings, parts and so on. 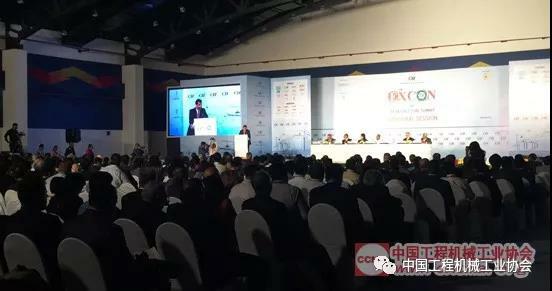 CCMA and CCPIT-MSC have organized China pavilion to participate the show for several successive shows. The two parties jointly organized 80 exhibitors with total exhibition area of 1068 square meters. There are more than 10 companies participating Excon for more than once. The exhibits of China pavilion are mostly real products, supplemented by pictures, models, samples and multimedia display of corporate image. There are more than 80 Chinese exhibitors also participated the show individually. A major change of Excon 2017 is the use of No. 4 Venue for the first time. The venue is a modern venue which has the capacity to contain 420 exhibitors that takes half of the Indoor area demands, and effectively improve the environment of other 3 indoor venues. The exhibition department of CCMA not only visited China enterprises and also visited BAI and ICEMA, and sincerely invited the two cooperation partners to participate BICES 2019. 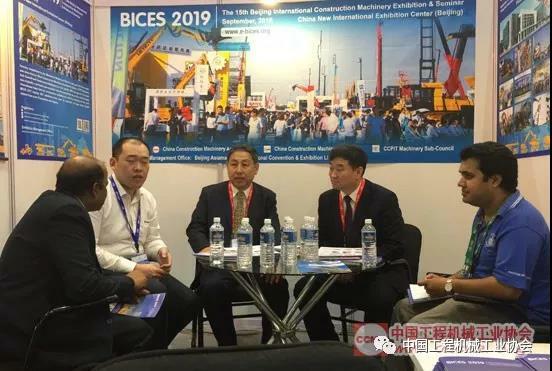 As the fast development of infrastructure and increasing demands for construction machinery in India in recent years, Chinese exhibitors on Excon show grow gradually. The export of construction machinery from China to India is enhanced and this has strengthened the trade business between China and India. 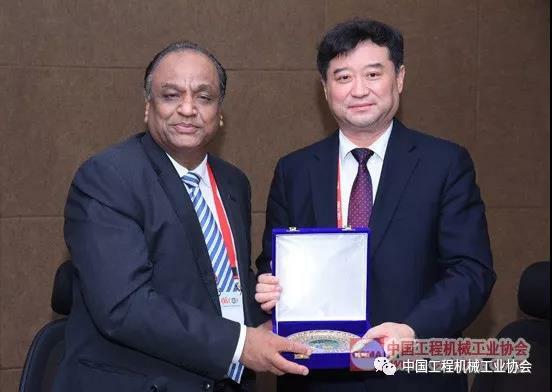 Many enterprises seized this opportunity to display and promote technology products through exhibition platform, and to win the chance of entering Indian and South Asia market with its new products.